The Biddenham Society compliments the authors of the Local Plan 2035 on addressing in a thorough and even-handed way the wide range of complex issues involved in determining the possible locations of the additional 8,103 houses it is suggested are required in the borough. We are pleased that the proposals do not bring forward several of the Biddenham sites submitted by developers, and we look forward to continuing our constructive involvement in ensuring these remain free of development in the future. The society is, however, disappointed that sites 691 & 29 (Gold Lane) and 25 (Land to the rear of 94-122 Bromham Road) have been suggested as suitable for development, and we give below a number of reasons why we hope the borough will reconsider these two recommendations and remove them from the proposals. In the late 1980s the open spaces within the current Biddenham settlement area represented approximately 30% of the village land area. In 2017, less than 30 years later, the comparable figure is just over 4%. This rapid erosion has been the result of creating the Deep Spinney Estate to the south of Bromham Road, coupled with granting change of use to housing for many of the village’s paddocks. Sites 691 & 29 together with the remaining fields west of Gold Lane provide essential counterbalancing open space along the western boundary which helps to offset some of this loss. From 1086 to the twentieth century Biddenham was largely a farming and rural community, with six farms still existing in the early 1900s. By the end of the 20th Century, all the farmhouses and outbuildings had either been demolished or converted to modern residential accommodation, mostly in sympathy with their original purpose, so they continue to contribute positively to the overall character of the village. The farmland between Gold Lane and the western by-pass is now the only working link to Biddenham’s heritage, and the loss of any portion of this to housing would be detrimental to the character and history of this beautiful village. The proposed development of sites 691 & 29 will remove part of the natural break between Biddenham and the Bromham by-pass. Site 25 lies in the flood plain of the river and if developed will reduce the gap between the Biddenham and Bromham settlements. Safe vehicular access to and from both sites could well prove problematic, especially for site 25 where, on the basis of two cars per household, over 50 vehicles could regularly use the narrow semi-blind access to Bromham Road, the splay of which cannot easily be increased owing to the private ownership of the adjacent land. The society is concerned about the consequences for local schools of increasing the population of Biddenham by a further 187 dwellings, especially for the proposed St James’ CE Primary School. There could also be repercussions for the village’s historic 300-year-old pond from properties constructed on the Gold Lane site. The pond relies on run-off from the surrounding fields to maintain the water levels necessary to support wildlife, and if these proposals are implemented its survival could be threatened. During the last 30 years the area inside the Biddenham Loop has contributed more than its fair share towards successive borough building targets, resulting in the loss of vast tracts of agricultural land and open amenity spaces. The Deep Spinney Estate and the on-going Great Denham development will together have added in excess of 2000 dwellings when the latter is completed, with the construction of a further 1300 or so properties recently started north of Bromham Road. This is a housing contribution of substantial significance which has had a considerable effect on the character and nature of what was originally a rural village. In this context, it would seem a small but important gesture of recognition for the borough to relocate the 187 dwellings proposed for Biddenham in this consultation, and thereby help preserve its beauty and character for future generations to enjoy. In the spirit of giving constructive feedback, the society has suggested (see Appendix) some amendments to the published document. These include alternative proposed sites for the 187 dwellings currently allocated to Biddenham. We would also urge the borough to re-examine the basis of its calculation that a total of 19,000 new homes will be required in the borough by 2035, an assumption which leads to the suggested 8,103 shortfall quoted in this consultation. To the society this appears a considerable over-estimate of need when taking into account the many factors involved. Reducing this total to a more realistic figure would relieve some of the pressure on areas like Biddenham which have already made a major contribution towards housing growth. 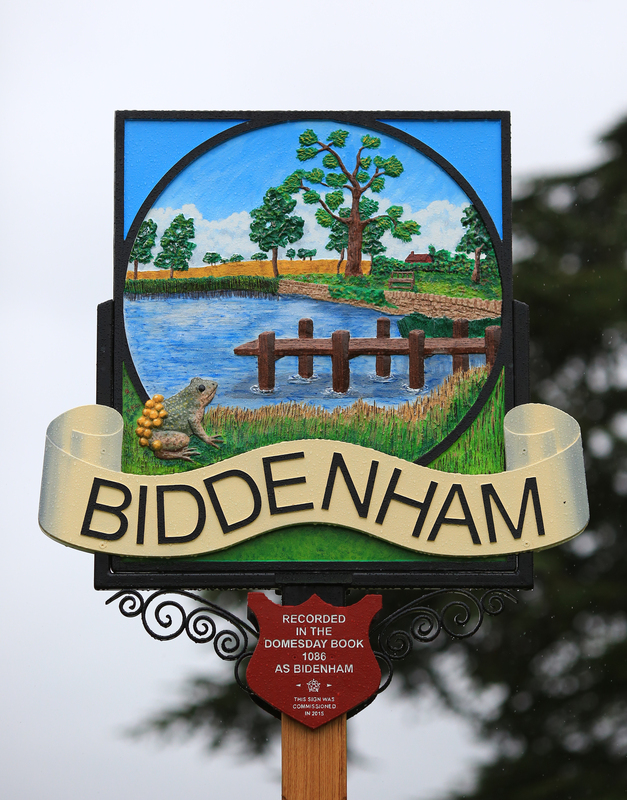 The Biddenham Society is generally supportive of the content of the consultative document, and of the methodologies adopted in reaching its recommendations. However, we believe the time is now right for the borough to recognise the significant contribution made by the parish of Biddenham over the last 30 years towards the borough’s successive housing targets, and the detrimental effects this has had on the open and amenity spaces of what was formerly a rural village. These effects have been compounded by the on-going construction of thousands of new dwellings to the south and north of the village. 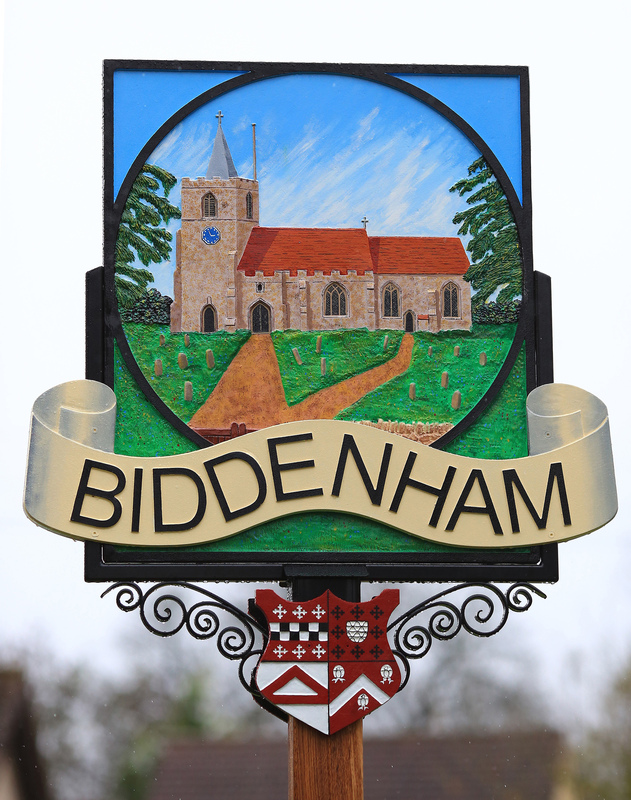 Despite this, Biddenham has managed to retain many valued aspects of its heritage – celebrated in 2015 by the creation of a heritage trail funded by the national lottery – which are enjoyed and appreciated by residents and visitors alike. The village is truly a jewel in the crown of the Borough of Bedford, and we wish it to remain so. 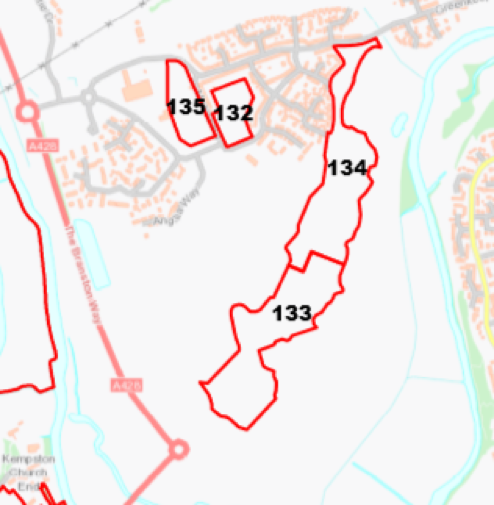 The number of new dwellings proposed for Biddenham in the consultative document will make only a small contribution towards the borough’s residual new-build targets but – in the case of areas 691 & 29 in particular – will result in large negative consequences for the village following the reclassification of specific fields from agricultural to residential use. We therefore ask for the stated Biddenham sites to be declassified from the plan as potential development areas. Having examined the sustainability and other listed factors for the various sites listed in the document, the Society suggests the borough may wish to consider the following site amendments. To extend the number of houses in the new developments at Lee Farm Sharnbrook (site 622), Thurleigh Airfield (site 630), Land at Twinwoods (site 608 listed under Milton Ernest) and Wyboston Garden Village (site 659) to make up for the 187 houses removed from the Biddenham sites. To include the areas of either 133 or 134. The exclusion of these areas was to enable sport facilities that “are supposed to be provided” with concerns about access. The Biddenham Society recommends that the allocation of one of these sites, adjacent to an area already developed in Great Denham, would leave the other to be developed for sport. Access is available from the roundabout on the A428 towards the bottom of Figure 1 below. 3. To extend the proposed developments at other sites which are already included for large scale development at Bromham, Salph End, Sharnbrook, Clapham (Opt.2) and Roxton.